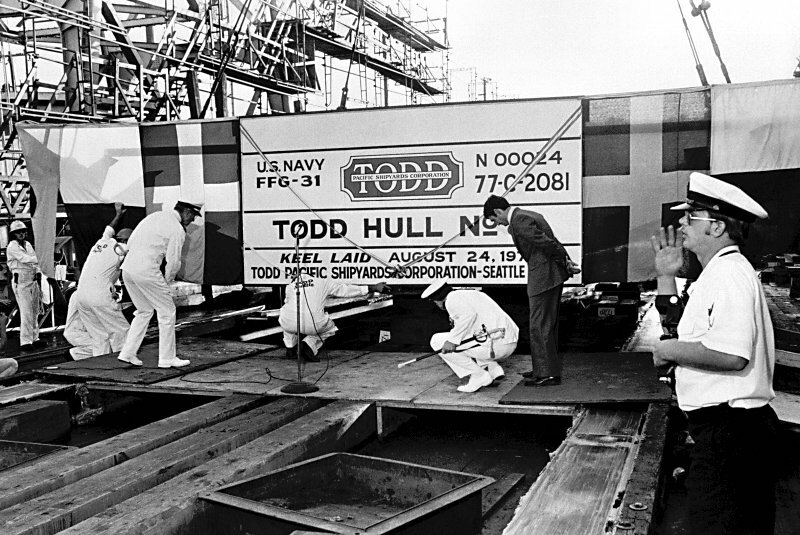 23 January 1978: Building contract awarded to Todd-Pacific Shipyard Corp.
24 August 1979: Keel laid by the Todd-Pacific Shipyard Corp., Seattle, Wash.
23 October 1982: Commissioned at Seattle, Wash., Cmdr. 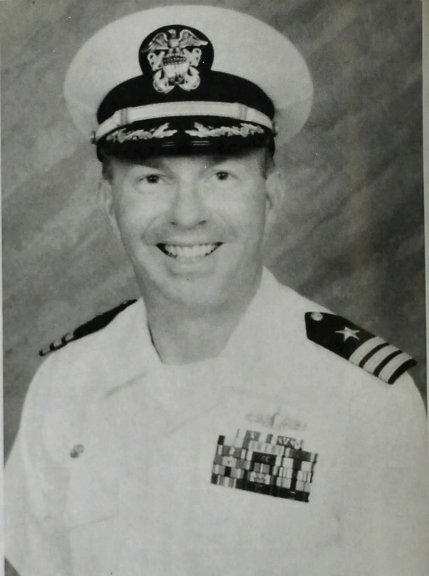 Terence W. Costello in command, assigned to Destroyer Squadron 8 at Mayport, Fla.
07 October 2005: Contract for scrapping ($1,718,836) awarded to Metro Machine Corp. of Philadelphia, Pa.
28 June 2006: Scrapping completed. 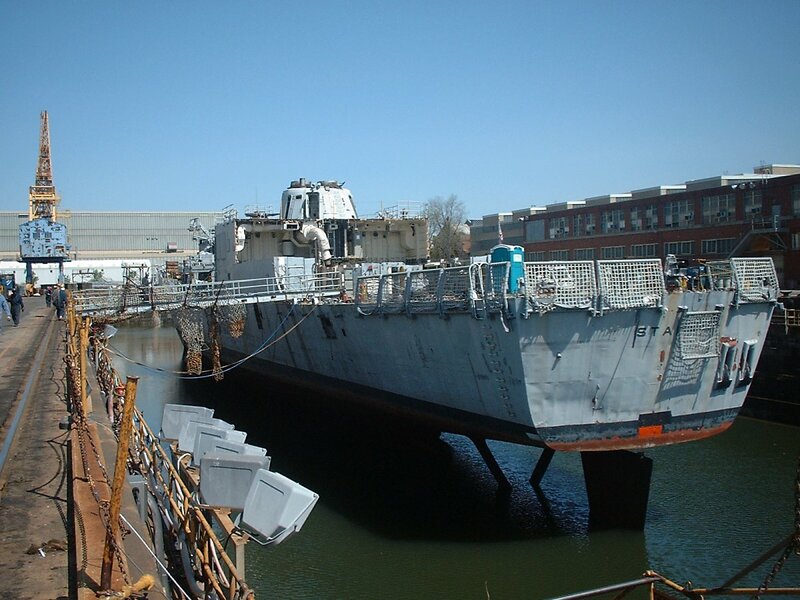 Stark was the last ship scrapped there as the company filed for bankruptcy soon after her completion. 35k Harold Rainsford Stark was born in Wilkes-Barre, Pa. on 12 November 1880 and graduated with the U.S. Naval Academy Class of 1903. He served in battleship Minnesota during the Atlantic Fleet's Great White Cruise around the world. 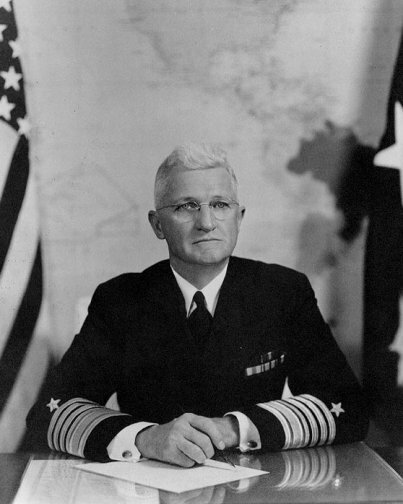 He then served in a number of ships and positions with extensive duty in torpedo boats and destroyers, commanded USS West Virginia, and in 1934 became the Chief of the Bureau of Ordinance. 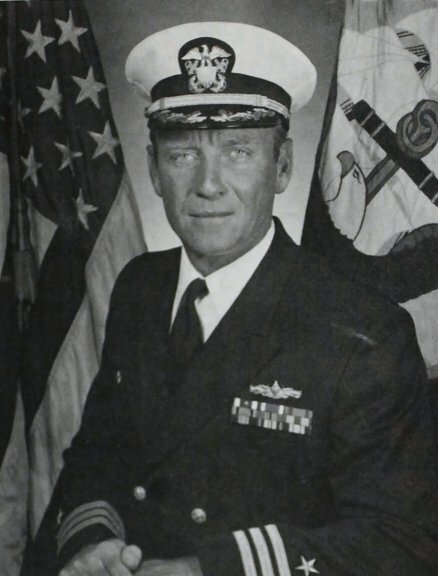 He then served as ComCruDiv Three and Commander, Cruisers, Battle Force. In 1937, with the rank of Admiral, he became the Chief of Naval Operations. 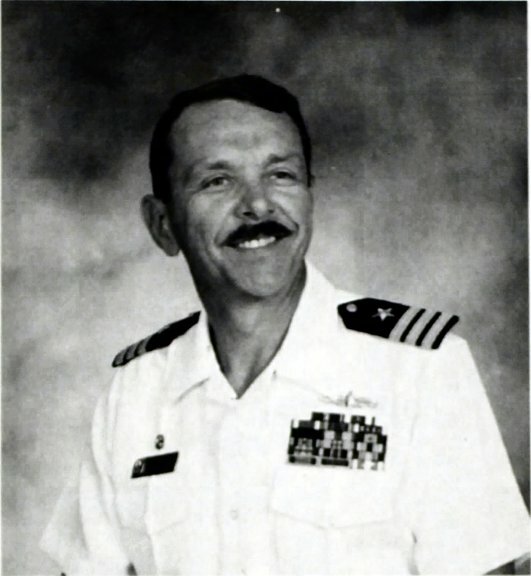 He served as CNO until relieved by Admiral Ernest J. King in March 1942 when he became Commander, US Forces, Europe. 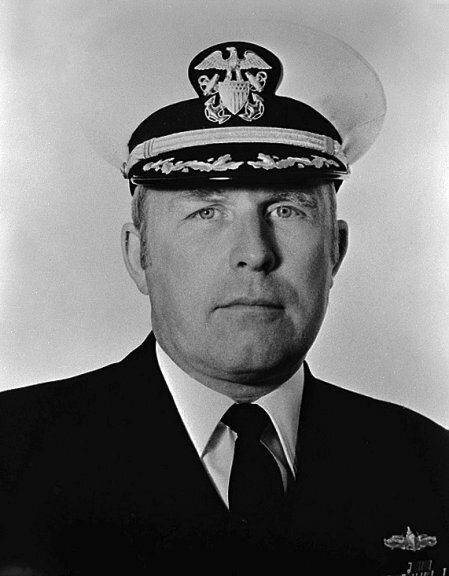 He received the additional title of Commander, Twelfth Fleet, in October 1943 and supervised U.S. Navy participation in the invasion of Normandy in June 1944. He left active duty in April 1946 and made his home in Washington, D.C. until he died on 21 August 1972. 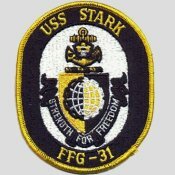 133k 24 August 1979: Seattle, Wash. - The keel laying ceremony for the guided missile frigate USS Stark (FFG 31), takes place at Todd-Pacific Shipyards Corporation. 158k 25 February 1981: Seattle, Wash. - A port bow view of Stark at 40 percent completion. 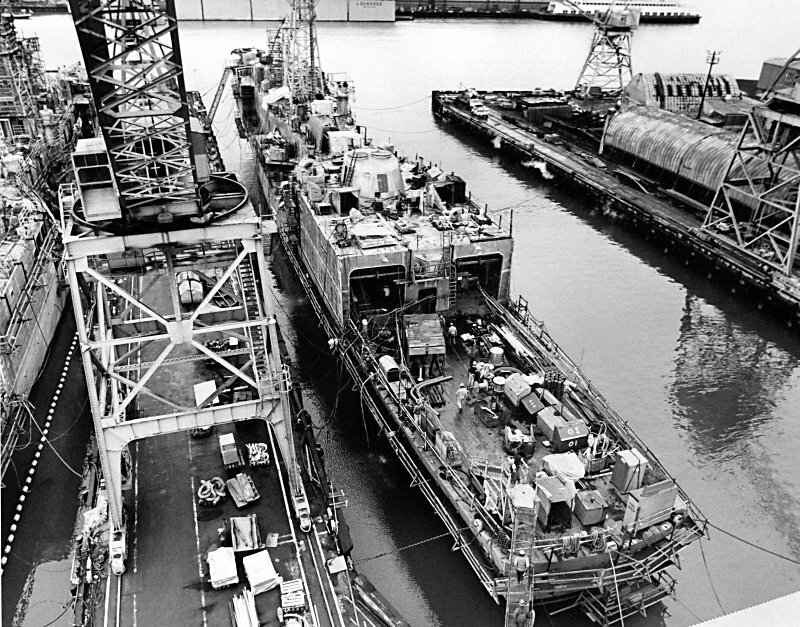 186k 25 February 1981: Seattle, Wash. - A port quarter view of Stark at 40 percent completion. 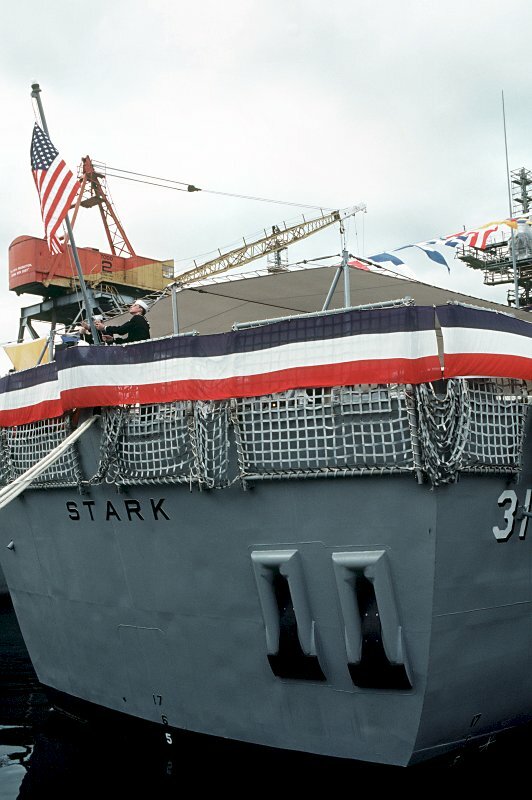 135k 25 February 1981: Seattle, Wash. - A starboard bow view of Stark at 40 percent completion. 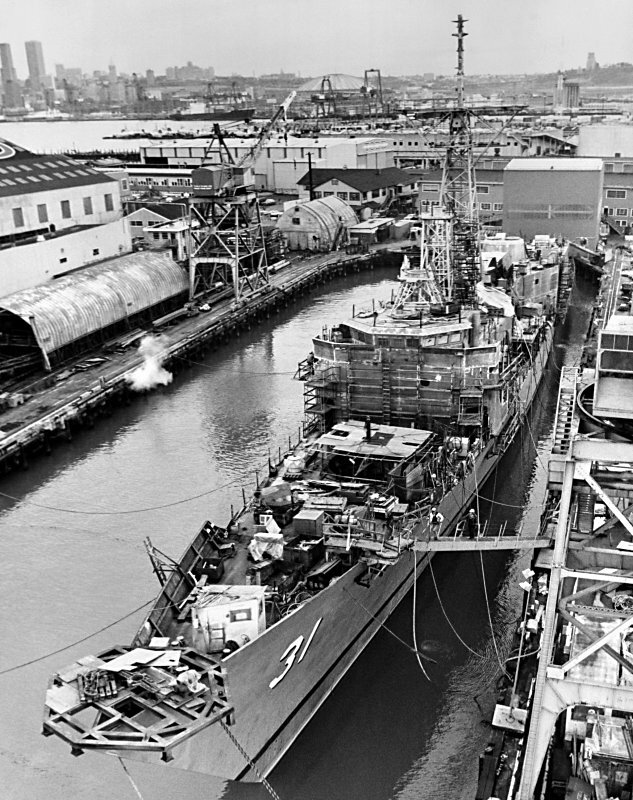 149k 12 January 1982: Seattle, Wash. - A port bow view of Stark at 80 percent completion. 223k 13 July 1982: at sea - An aerial port quarter view of Stark as Todd Pacific Shipyards Corporation conducts sea trials. 97k 13 July 1982: at sea - A bow view of Stark as Todd Pacific Shipyards Corporation conducts sea trials. 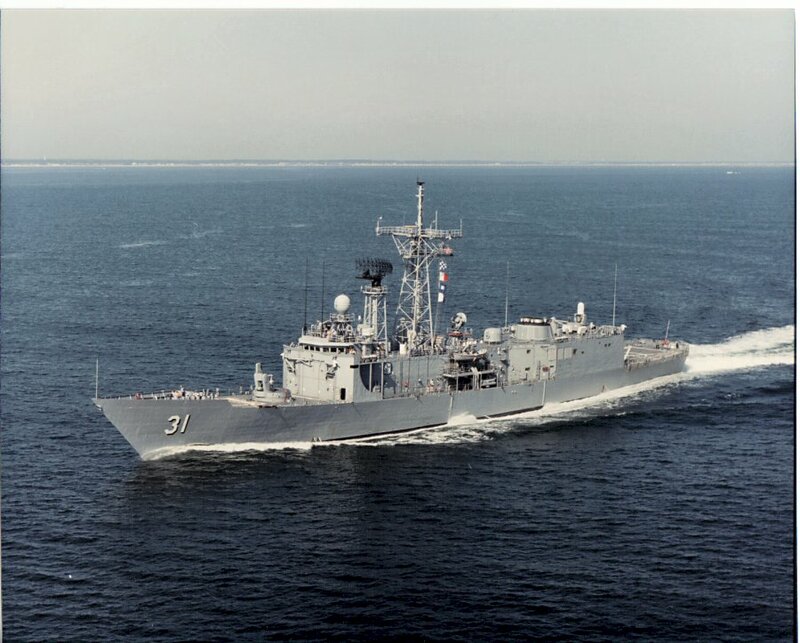 149k 13 July 1982: at sea - An aerial port bow view of Stark as Todd Pacific Shipyards Corporation conducts sea trials. 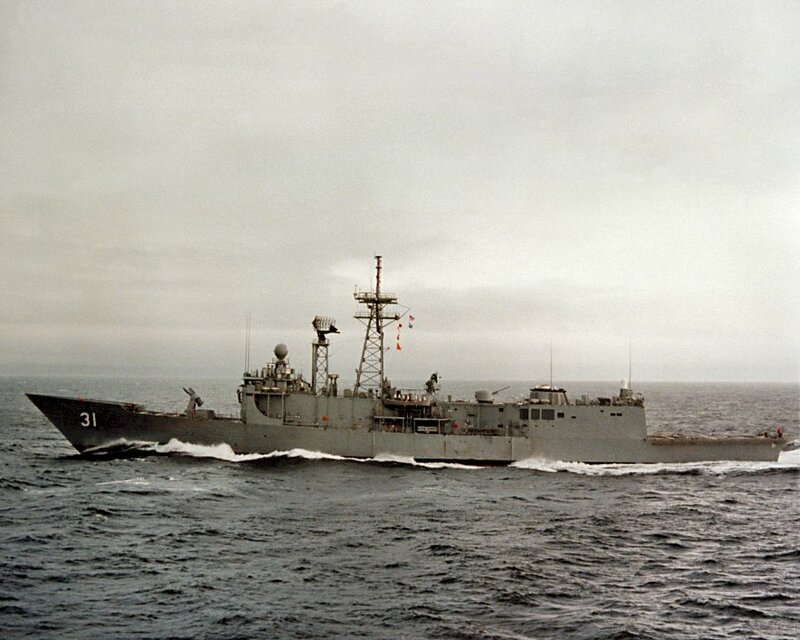 114k 13 July 1982: at sea - A low angle port bow view of Stark on sea trials. 119k 13 July 1982: at sea - A port beam view of Stark on sea trials. 124k 13 July 1982: at sea - A port quarter view of Stark on sea trials. 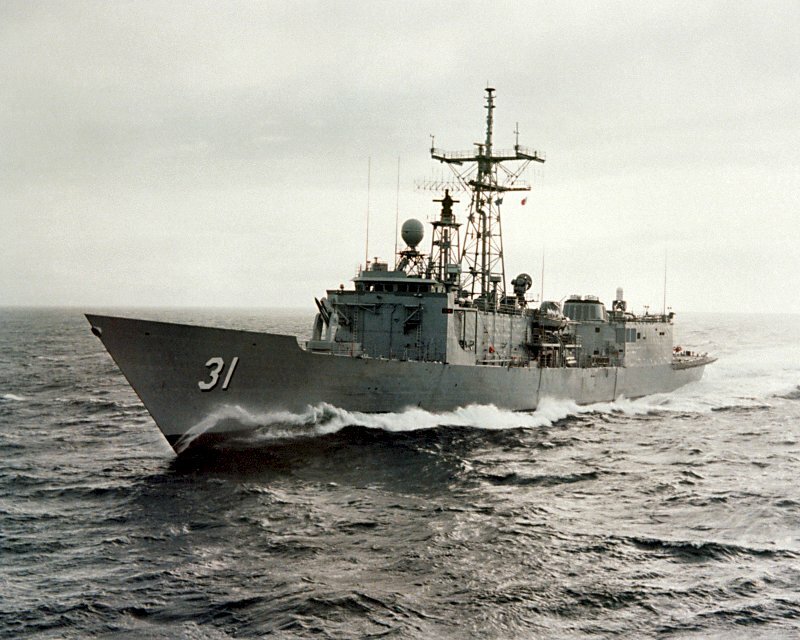 120k 13 July 1982: at sea - A starboard beam view of Stark on sea trials. 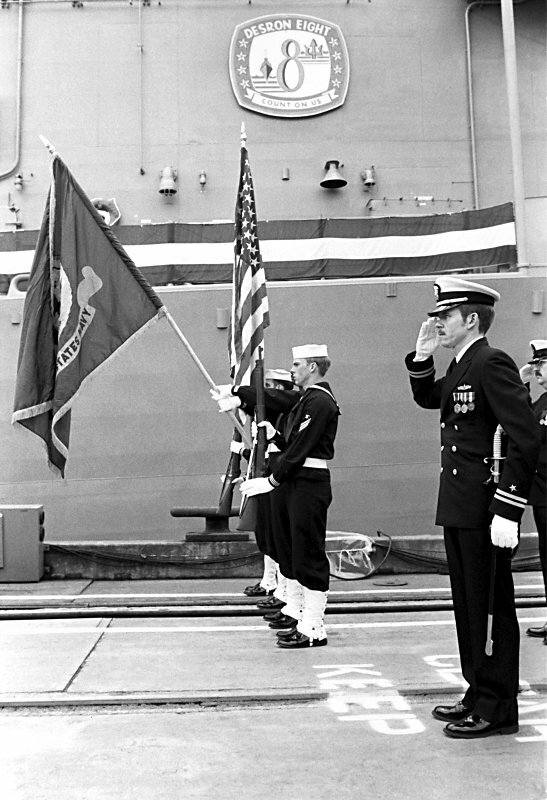 94k 23 October 1982: Seattle, Wash. - Officers and crewmen of Stark perform the duties of honor guard during the ship's commissioning ceremony. 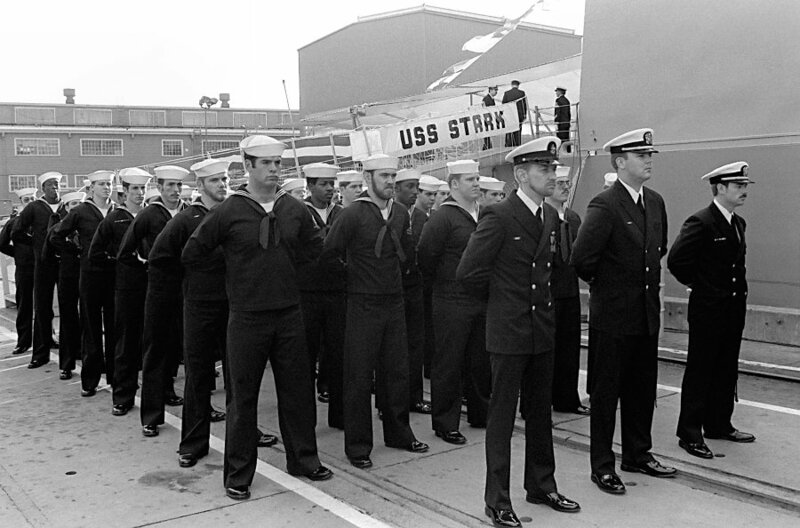 113k 23 October 1982: Seattle, Wash. - The crew of Stark stand on the pier in formation during its commissioning ceremony. 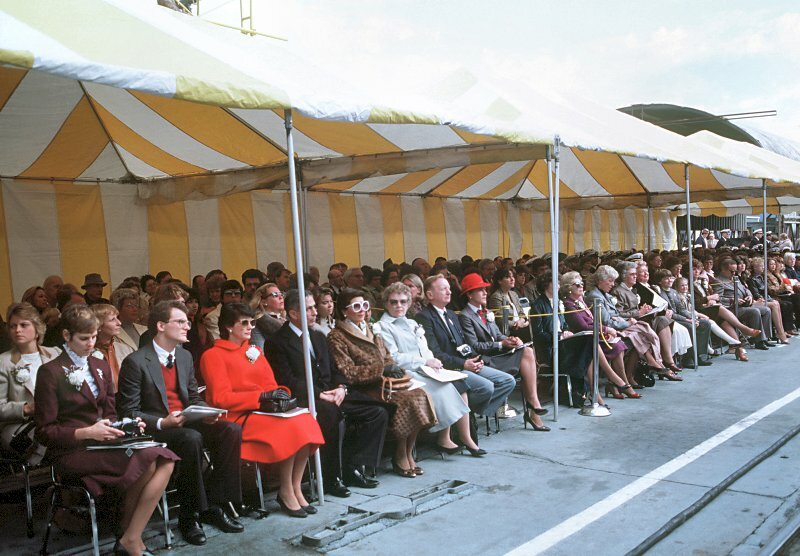 108k 23 October 1982: Seattle, Wash. - The audience listens to a guest speaker during the commissioning ceremony for Stark. 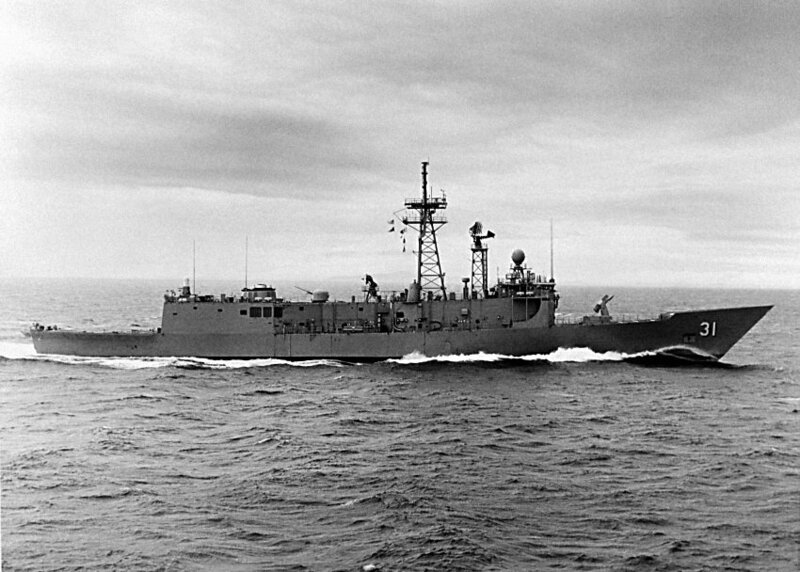 103k 23 October 1982: Seattle, Wash. - Cdr. 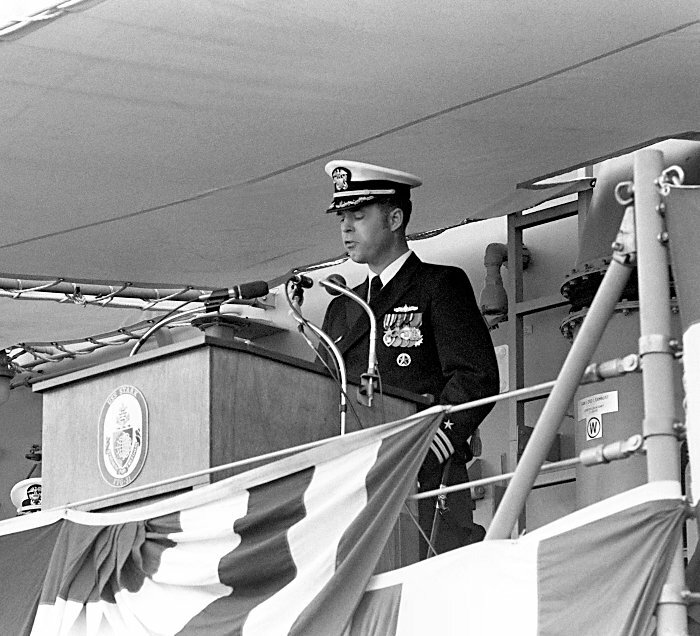 Terence W. Costello, commanding officer, speaks during the commissioning ceremony for Stark. 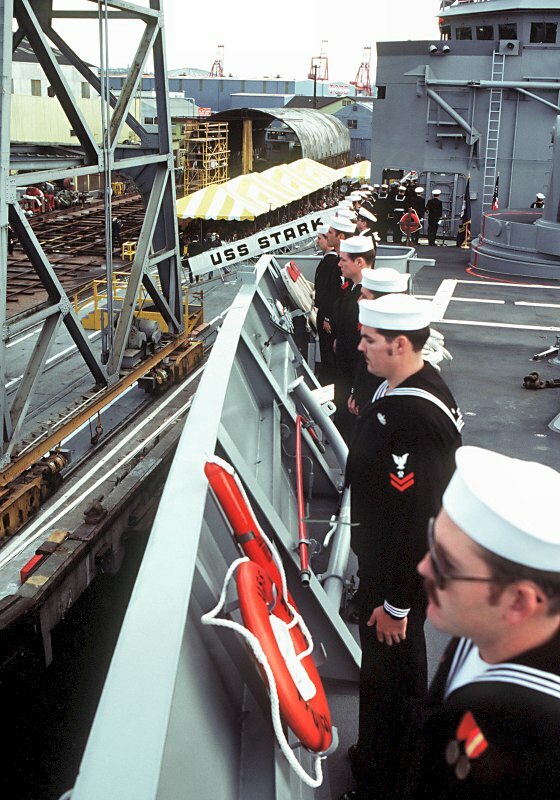 128k 23 October 1982: Seattle, Wash. - Crewmen man the rail on Stark during the ship's commissioning ceremony. 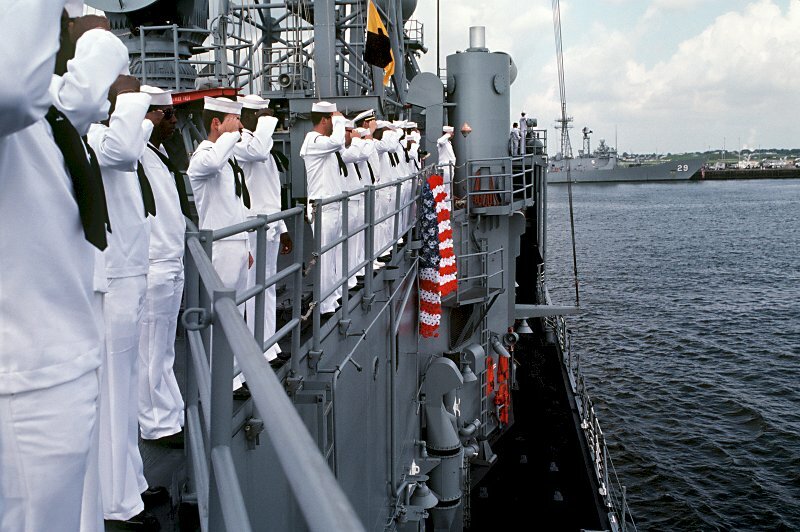 82k 23 October 1982: Seattle, Wash. - Crewmen aboard Stark raise a United States flag for the ship's commissioning ceremony. 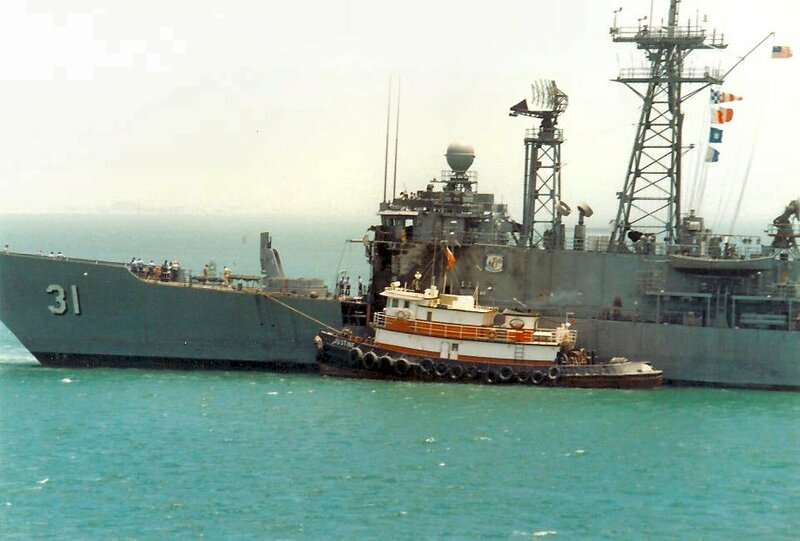 57k 15 September 1983: Guantanamo Bay Cuba - A motor whaleboat takes Fleet Training Group instructors to Stark. 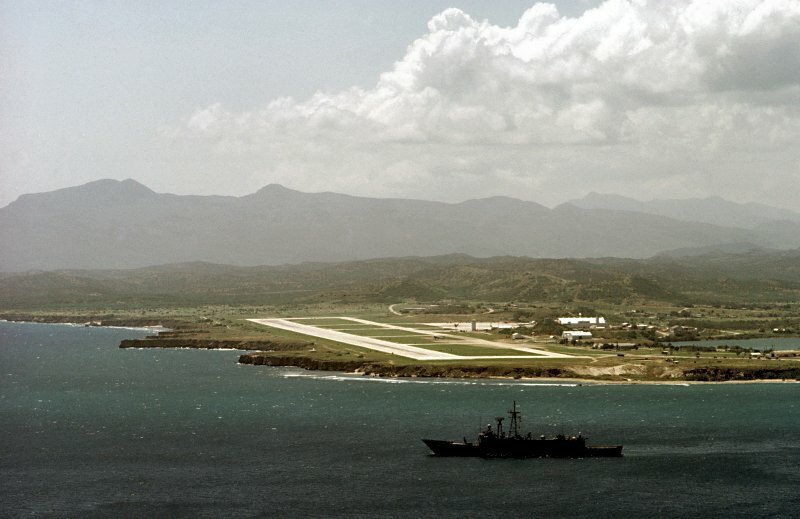 66k 15 September 1983: The Caribbean Sea - Stark passes Naval Base Guantanamo Bay as it heads out to sea for a day of training. 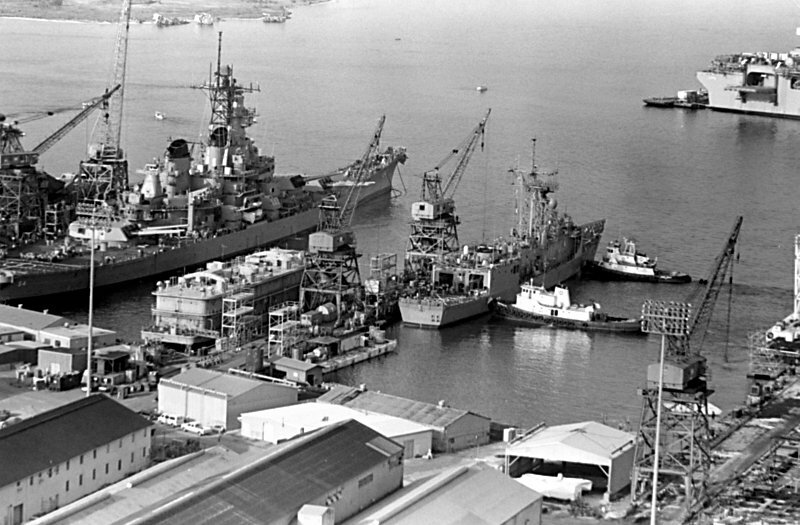 104k 18 May 1987: The Persian Gulf - A port quarter view of Stark listing to port after being struck by an Iraqi-launched Exocet missile. 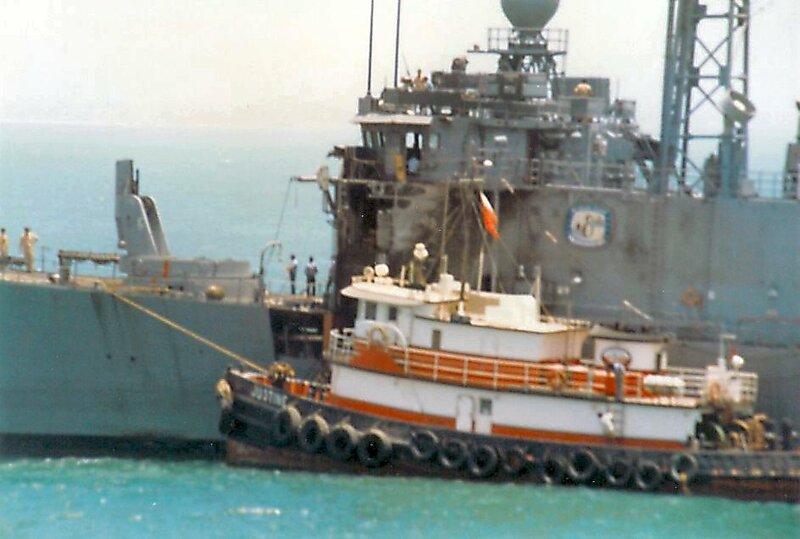 105k 18 May 1987: The Persian Gulf - A port quarter view of Stark listing to port after being struck by an Iraqi-launched Exocet missile. 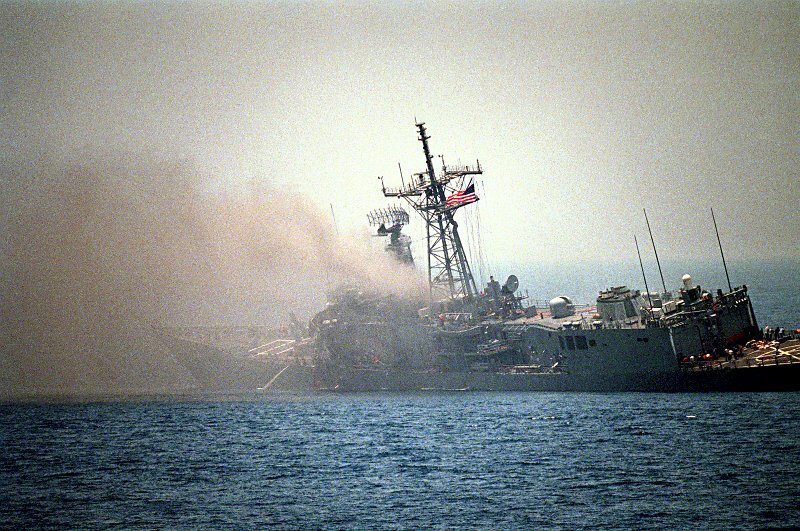 136k 18 May 1987: The Persian Gulf - A port quarter view of Stark listing to port after being struck by an Iraqi-launched Exocet missile. 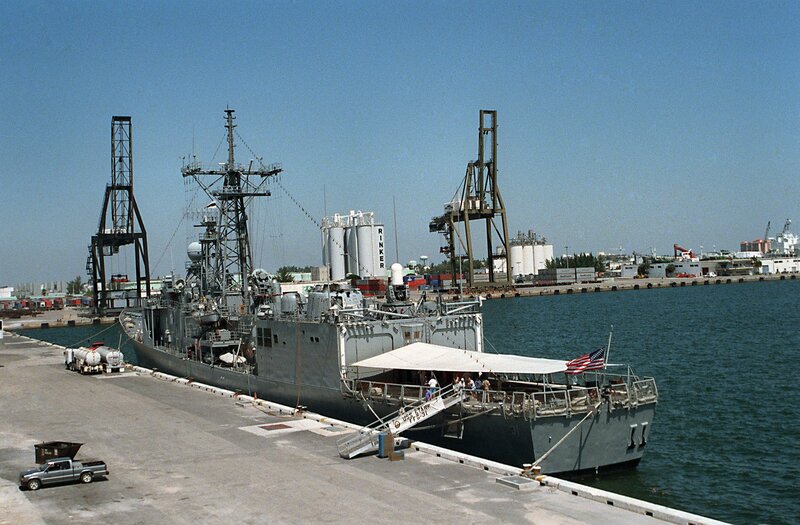 150k 18 May 1987: The Persian Gulf - A port quarter view of Stark listing to port after being struck by an Iraqi-launched Exocet missile. 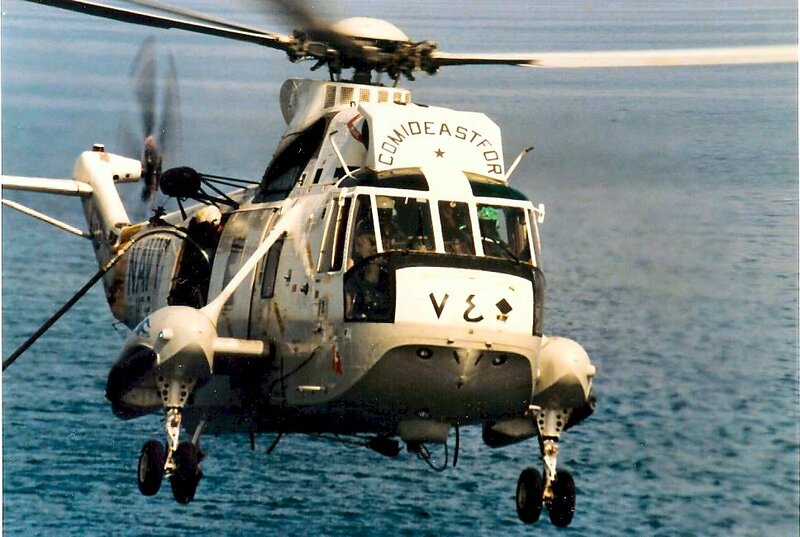 83k A Sikorsky SH-3, the "Desert Duck", assigned to COMIDEASTFOR in the Persian Gulf. 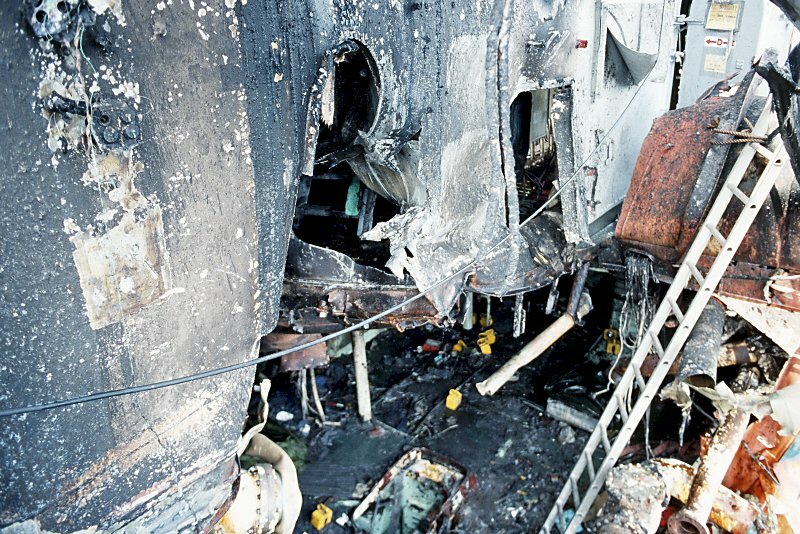 This was the aircraft that transferred the Coontz Rescue and Assistance Detail to the Stark after the 17 May 1987 Iraqi attack. 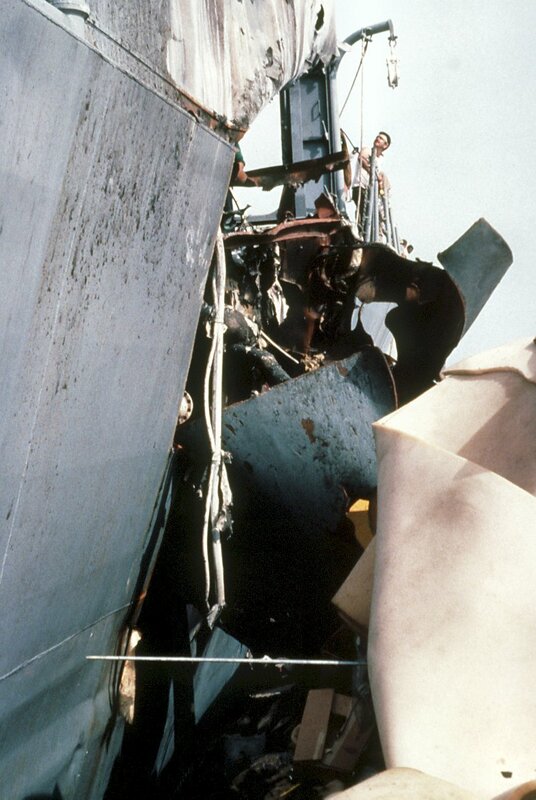 152k .. May 1987: The Persian Gulf - A close-up view of damage to Stark after it was struck by an Iraqi-launched Exocet missile. 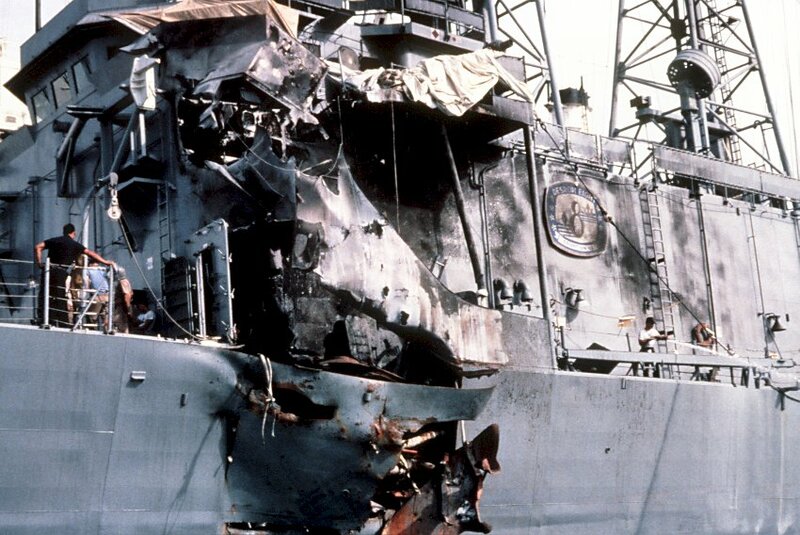 178k .. May 1987: The Persian Gulf - A close-up view of damage to Stark after it was struck by an Iraqi-launched Exocet missile. 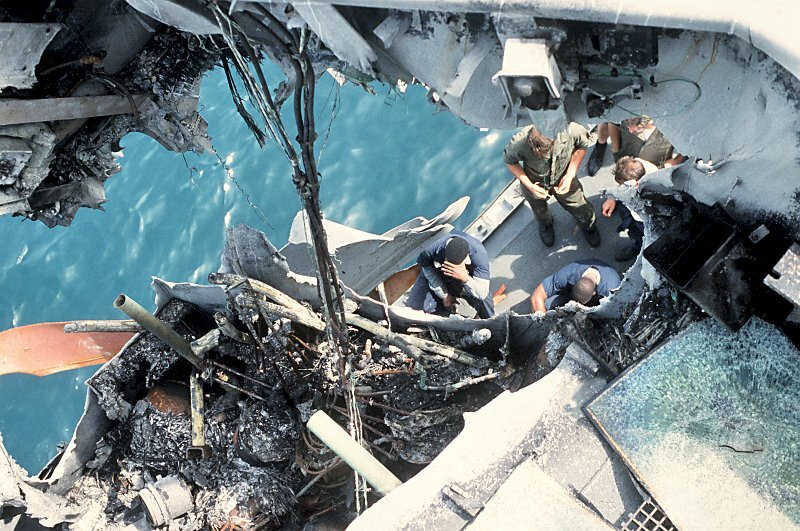 150k .. May 1987: The Persian Gulf - A close-up view of damage to Stark after it was struck by an Iraqi-launched Exocet missile. 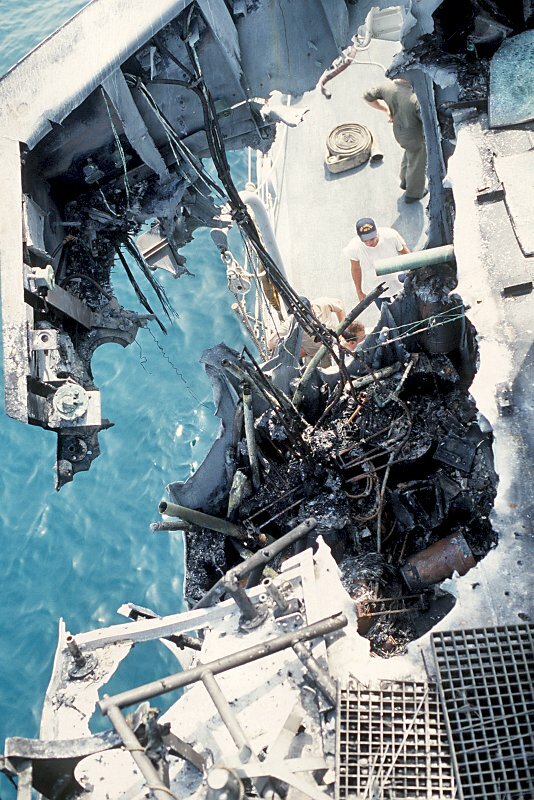 133k .. May 1987: The Persian Gulf - A view of damage sustained by Stark when it was hit by two Iraqi-launched Exocet missile while on patrol in the Persian Gulf. 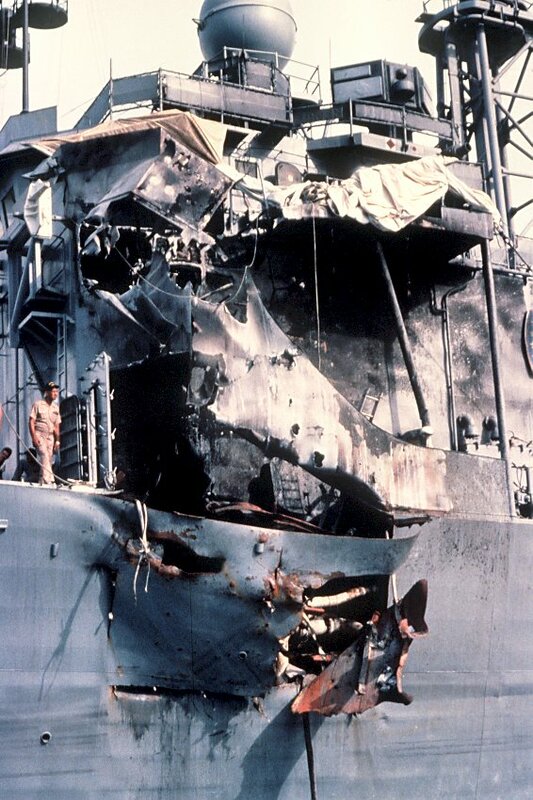 138k .. May 1987: The Persian Gulf - A view of damage sustained by Stark when it was hit by two Iraqi-launched Exocet missile while on patrol in the Persian Gulf. 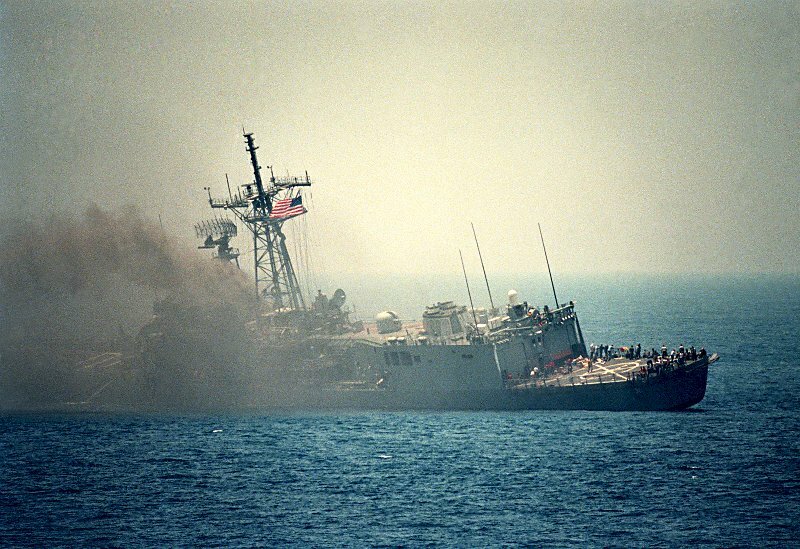 181k .. May 1987: The Persian Gulf - A view of damage sustained by Stark when it was hit by two Iraqi-launched Exocet missile while on patrol in the Persian Gulf. 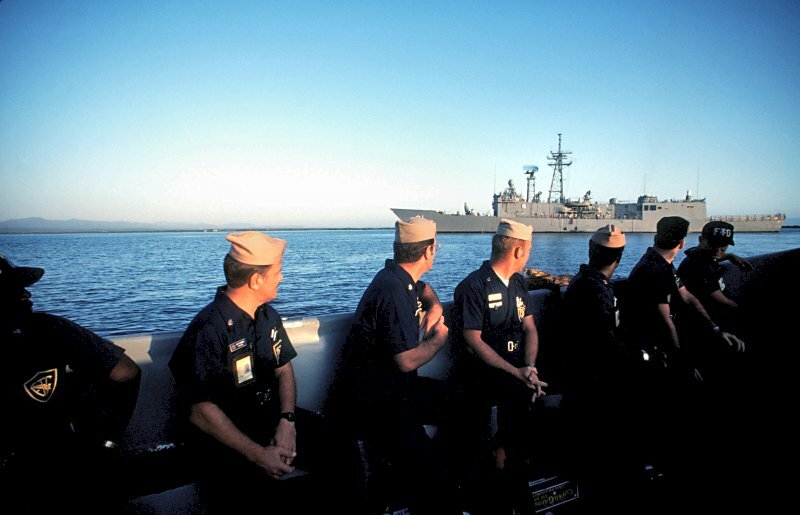 117k 05 August 1987: Mayport, Fla. - Crew members man the rails of Stark upon the ship's return to home port. 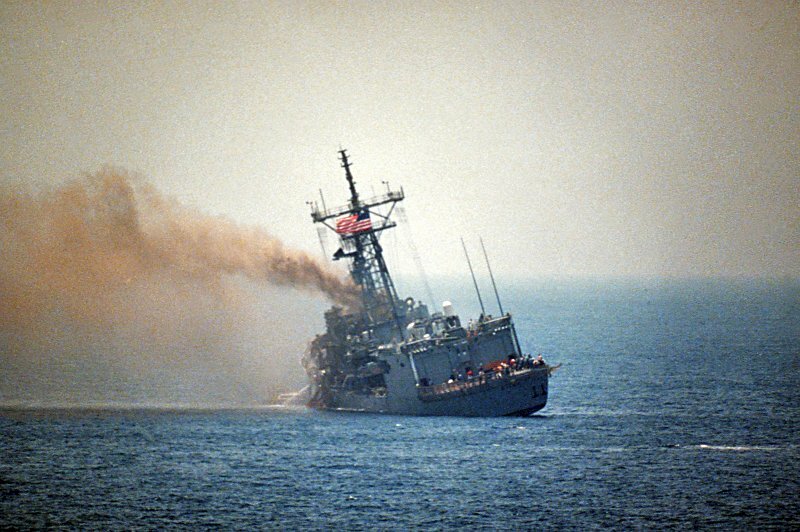 Iraqi-launched Exocet missiles severely damaged Stark when the ship was deployed in the Persian Gulf earlier this year. 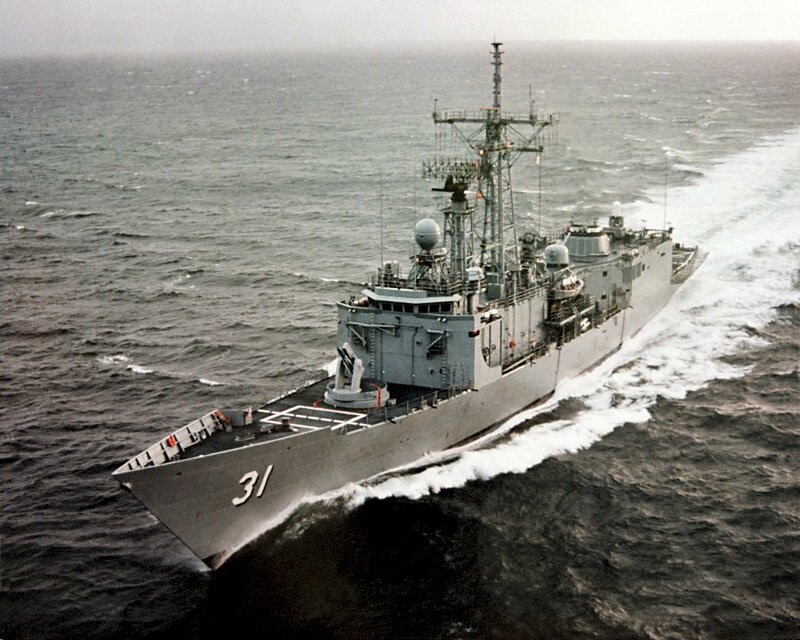 142k 28 August 1988: the Gulf of Mexico off Pascagoula, Miss. 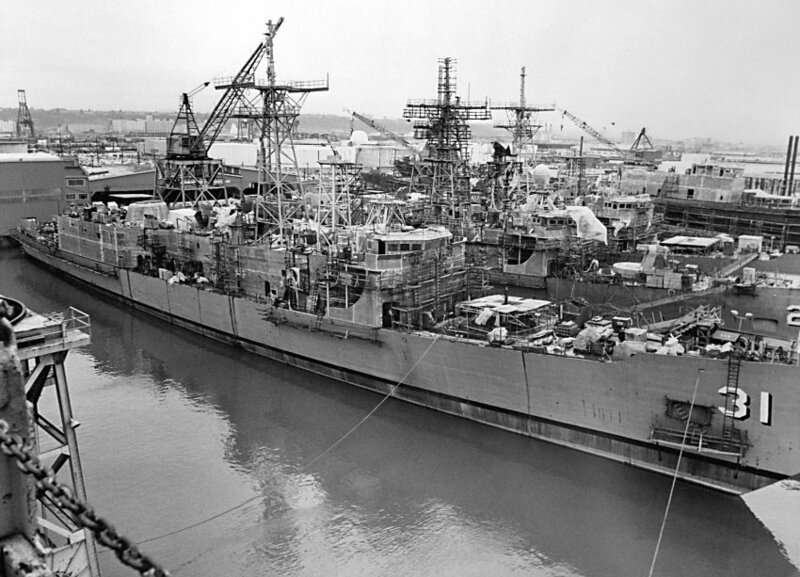 - A port quarter view of Stark underway during sea trials, off Pascagoula after being repaired at Ingalls Shipbuilding yard. 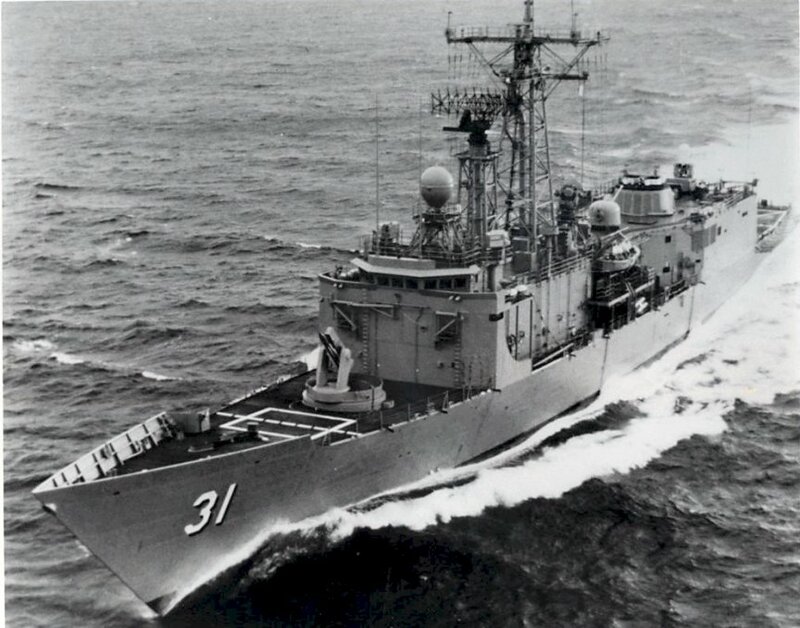 102k 28 August 1988: Pascagoula, Miss. - Harbor tugs maneuver Stark toward the dock at Ingalls Shipbuilding after the ship underwent repairs for damage sustained when it was struck by two Iraqi-launched Exocet missiles while on patrol in the Persian Gulf. The battleship Wisconsin (BB64), which will undergo sea trials, is visible to the left of Stark. 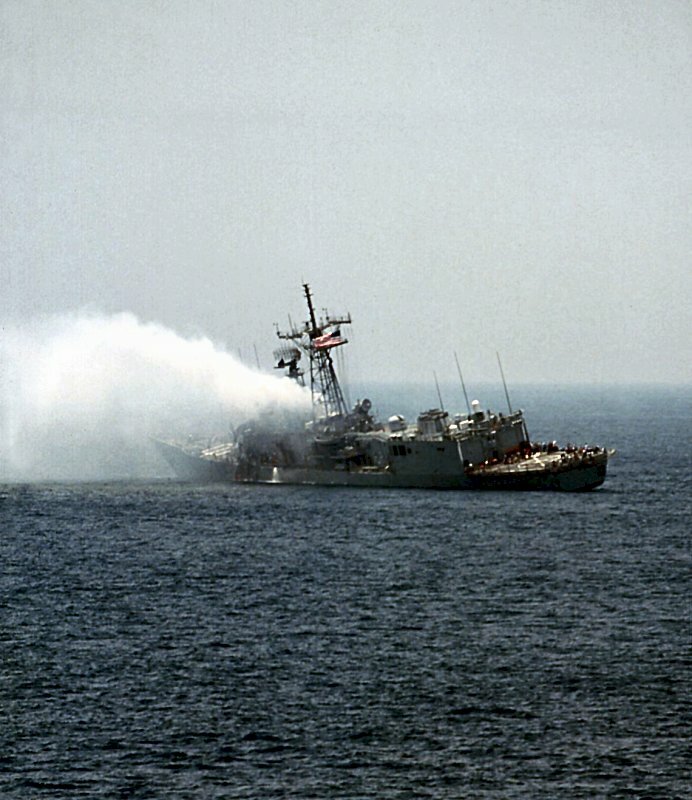 120k 28 August 1988: Pascagoula, Miss. - Harbor tugs maneuver Stark toward the dock at Ingalls Shipbuilding after the ship underwent repairs for damage sustained when it was struck by two Iraqi-launched Exocet missiles while on patrol in the Persian Gulf. 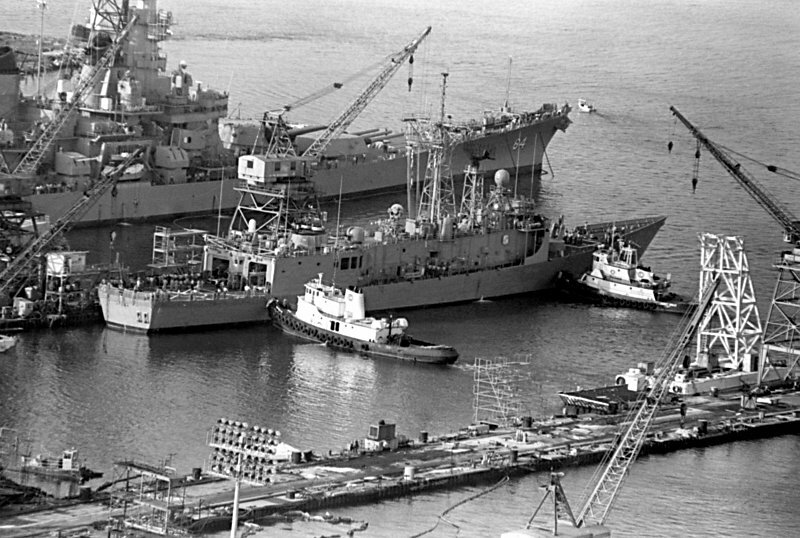 The battleship Wisconsin (BB 64), which will undergo sea trials, is visible to the left of Stark. 606k 28 August 1988: Pascagoula, Miss. 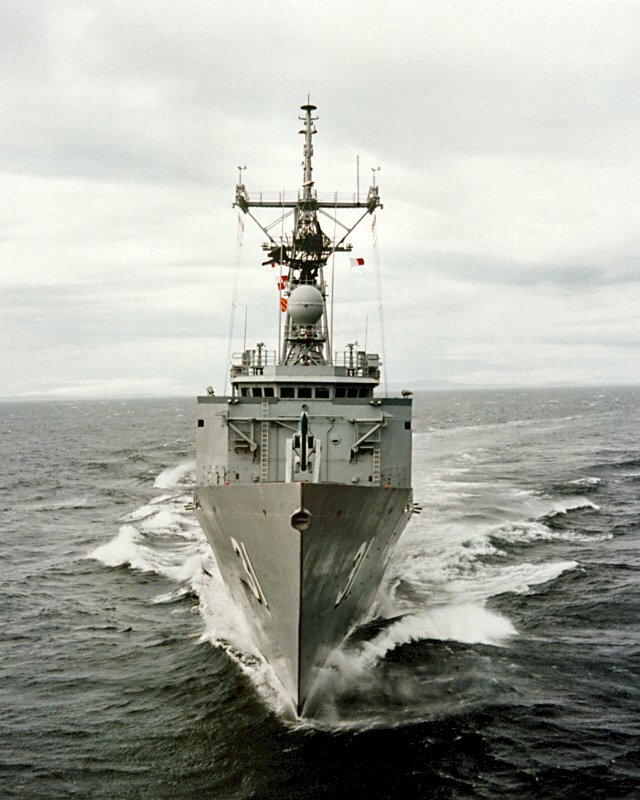 - A port bow view of the guided missile frigate USS Stark (FFG 31) en route to sea trials. 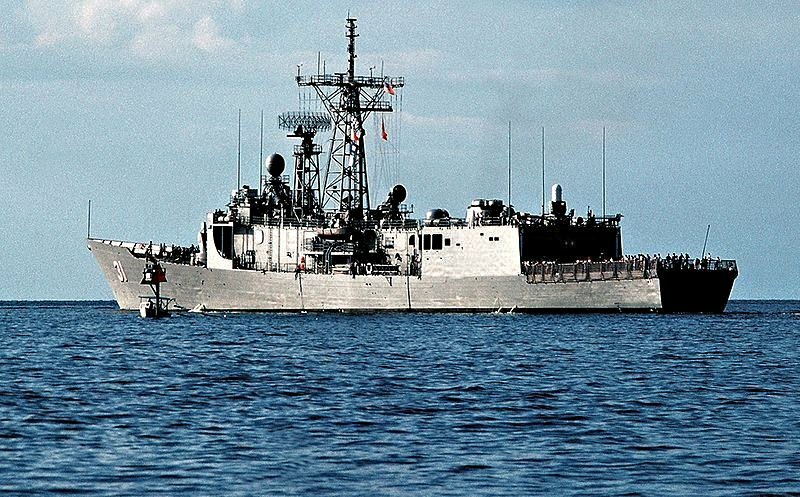 The ship has just completed repairs by Ingalls Shipbuilding after suffering damage when it was struck by two iraqi-launched Exocet missiles while on patrol in the Persian Gulf. 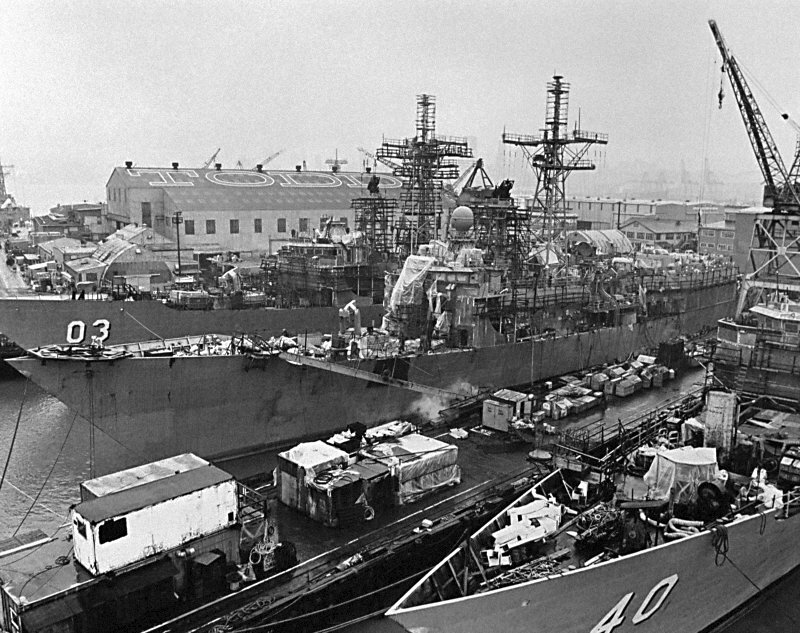 The guided missile cruiser USS Princeton (CG 59) and the amphibious assault ship USS Wasp (LHD 1) are in the background, still under construction. 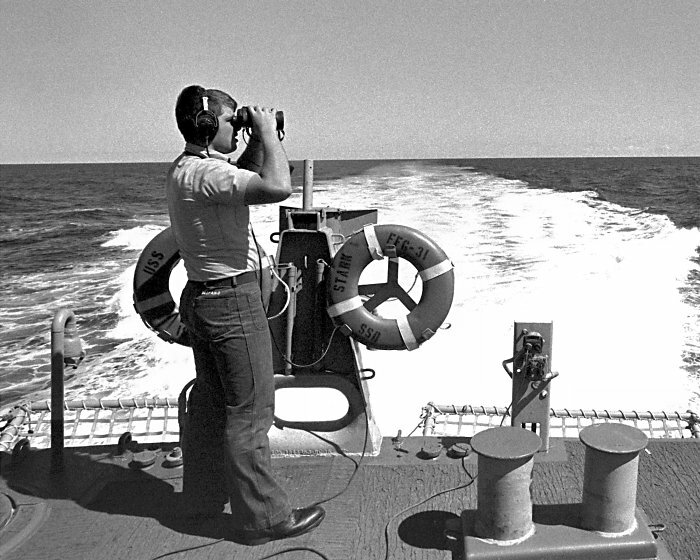 99k January 1990: At sea - SN Daniel Bezpalko stands watch on the fantail of Stark during FLEET EX 1-90. 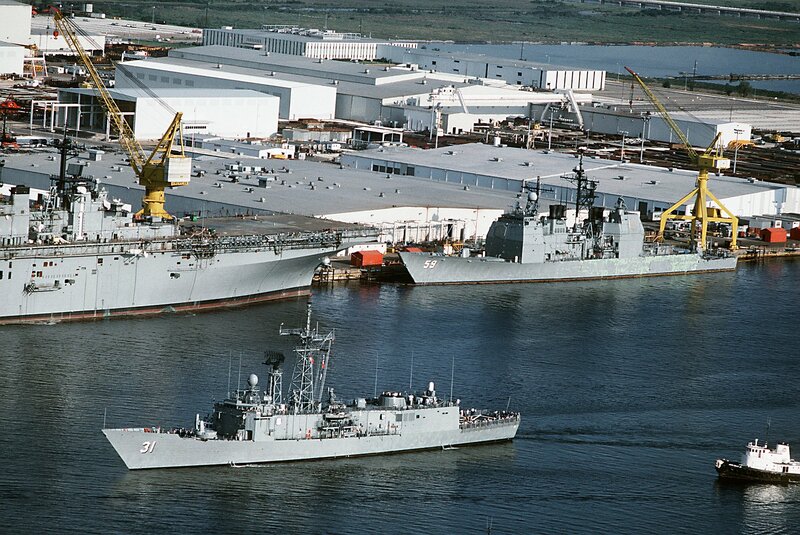 128k 01 July 1992: Mayport, Fla. - A starboard bow view of Stark and USS Aubrey Fitch (FFG 34) moored together in port. 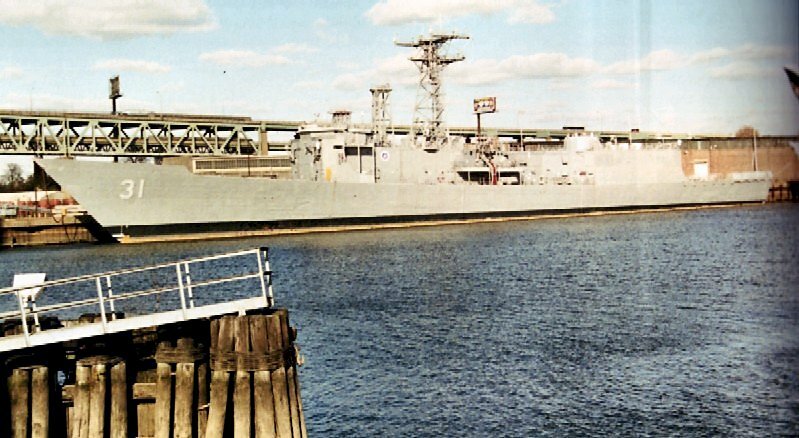 478k 23 May 1992: Port Everglades, Fla. - Port quarter bow view of Stark moored to the pier. 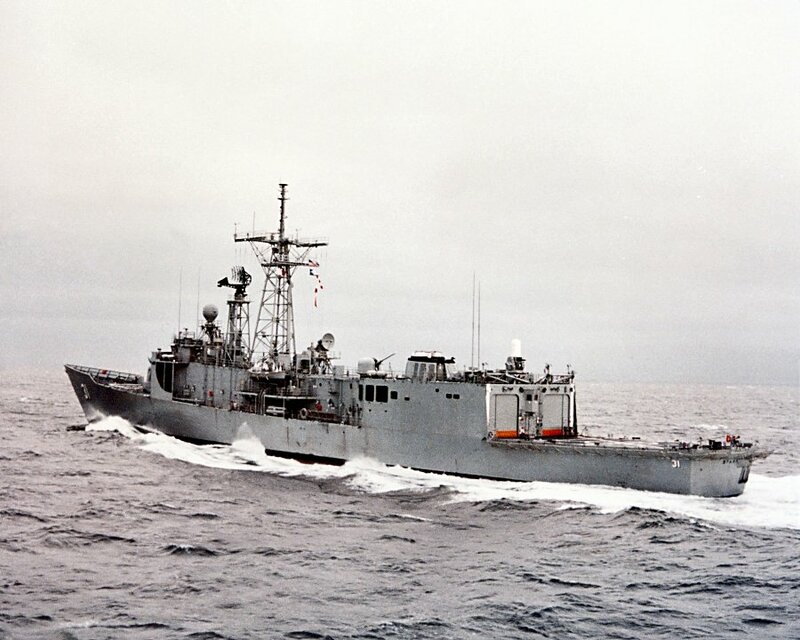 224k 19 September 1997: Between Cuba and Florida Keys - The Coast Guard Cutter Matinicus (WPB-1315) patrols the waters off the coast of Cuba alongside a navy ship during Operation Able Vigil. 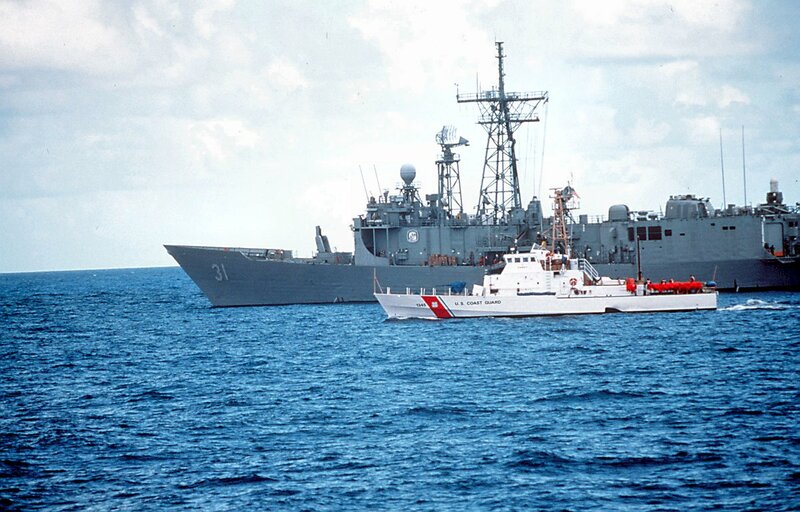 Operation Able Vigil got underway in mid-August when the number of Cuban rafters rescued in the Florida straits skyrocketed above the month of June's record of 1,173 to 2,607 in a single week of August. 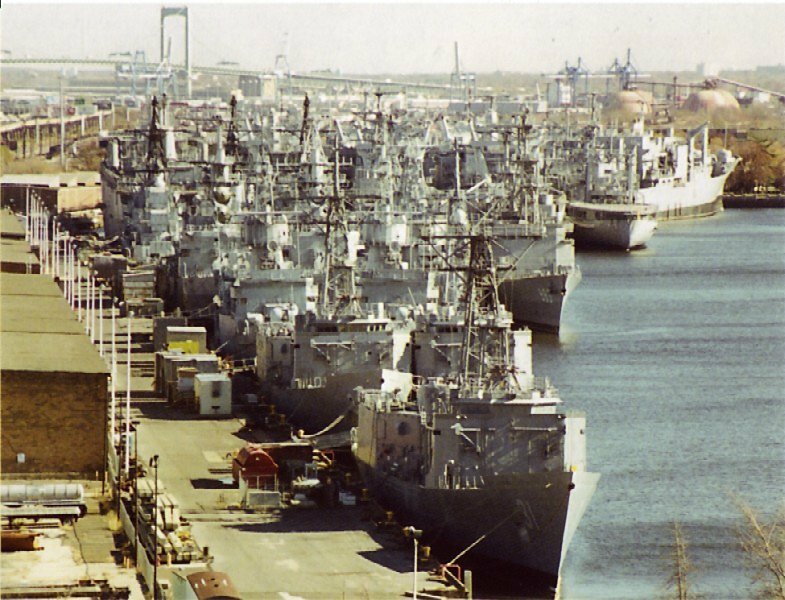 122k November 1999: Philadelphia, Pa. - Stark in the Inactive Ship Facility at the Philadelphia Naval Shipyard. 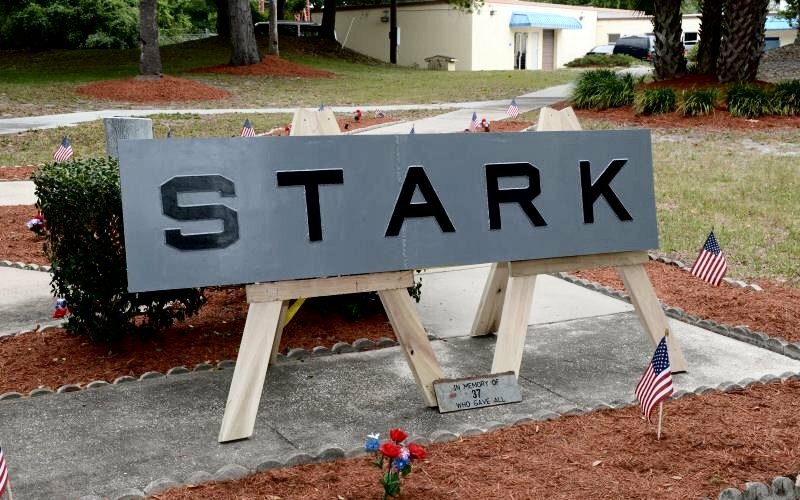 Stark has been demilitarised and awaits disposition. 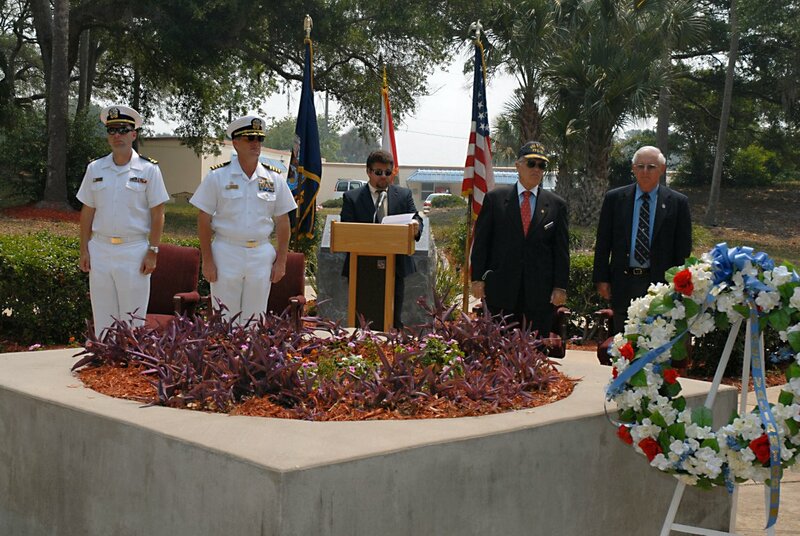 239k 17 May 2007: Mayport, Fla. - Former USS Stark (FFG 31) crewmember Tim Martineau reads the names of the fallen Sailors during the tolling of the bell at the USS Stark 20-year anniversary memorial ceremony. 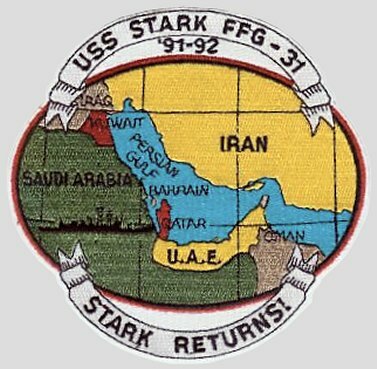 17 May 1987, Stark was on routine patrol in the Persian Gulf when two Iraqi missiles struck the ship killing 37 Sailors. 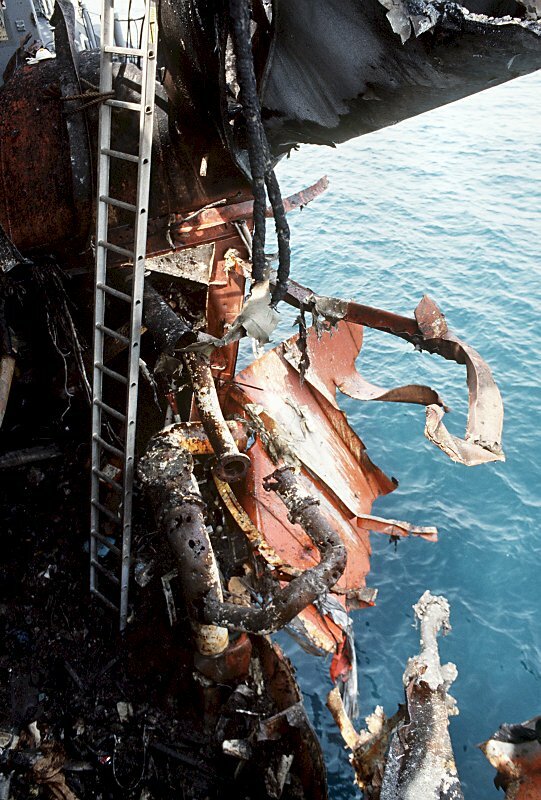 Despite the severe damage inflicted, the heroic efforts of Stark's crew saved the ship. 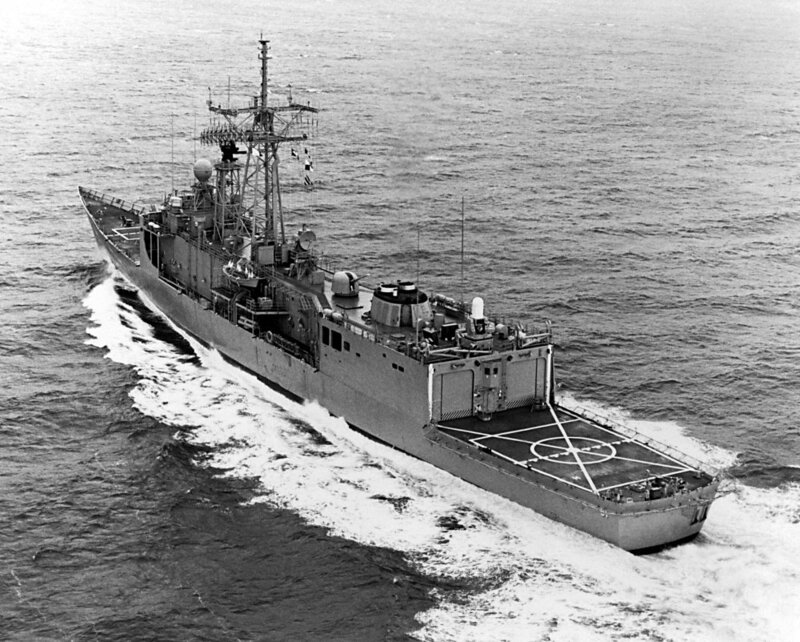 Stark was decommissioned in 1999. 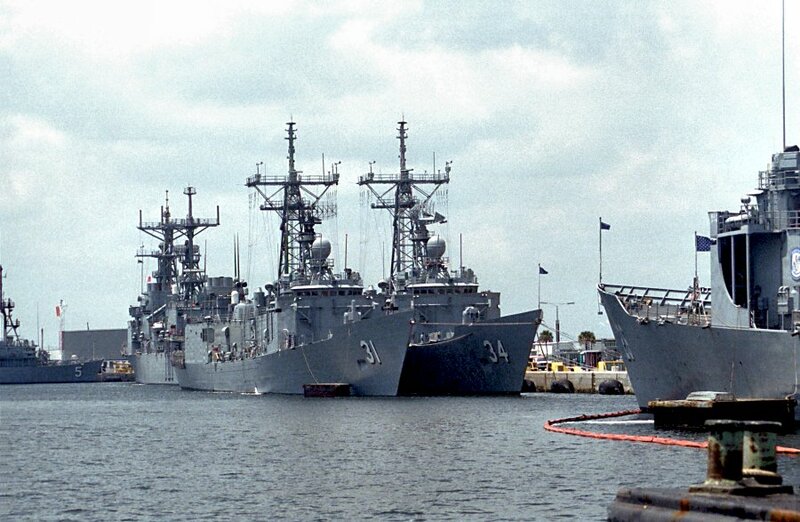 246k 17 May 2007: Mayport, Fla. - Former USS Stark sailors, Capt. 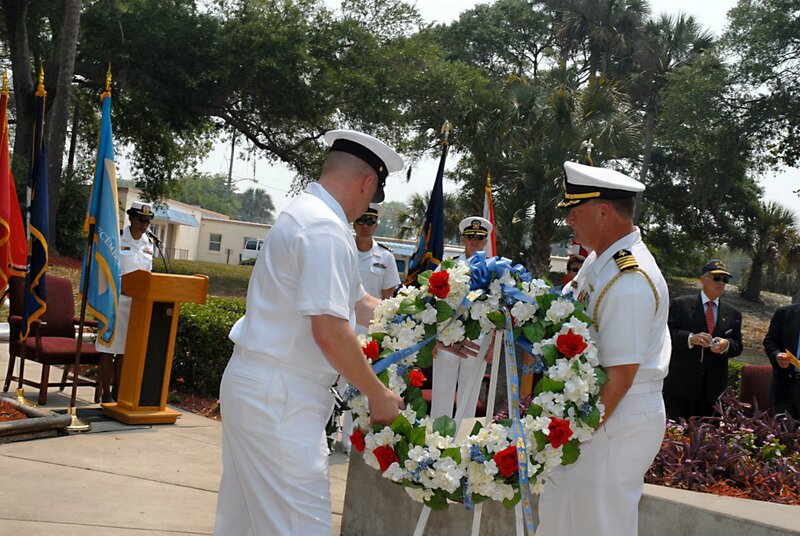 Matthew Schellhorn, chief of staff, Navy Region Southeast, and Chief Intelligence Specialist Chris Ryden take part in a wreath laying during a memorial ceremony to honor their shipmates who lost their lives aboard the ship. 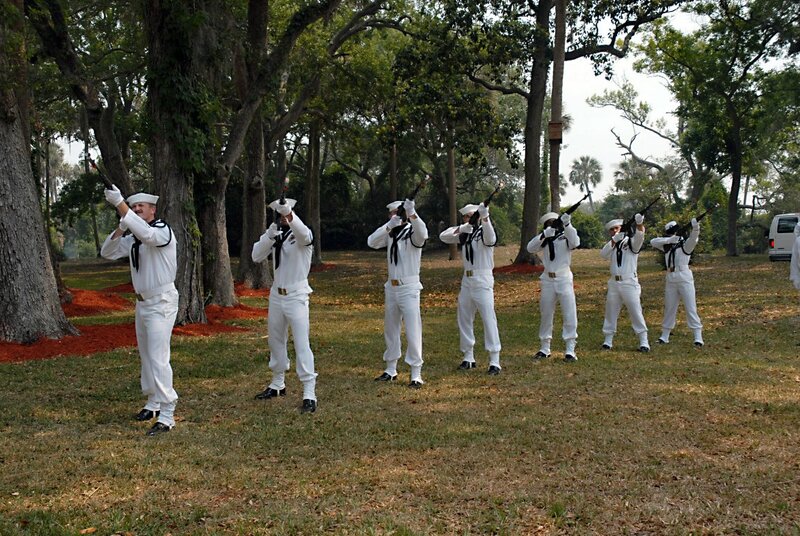 314k 17 May 2007: Mayport, Fla. - Naval Station Mayport honors detail performs a 21-gun salute in memory of the sailors who lost their lives aboard USS Stark (FFG 31) during the 20-year anniversary memorial ceremony. 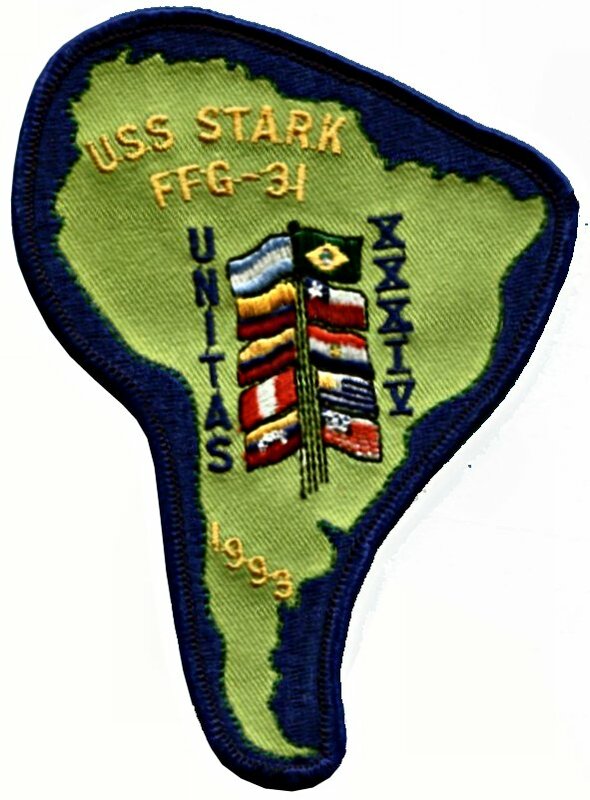 View the USS Stark (FFG 31) DANFS history entry located on the Naval History and Heritage Command web site.